THE RITA’s discography reads like a misanthropic agenda: Creature Drowning You(1996), Swingers Get Killed (1998), Weimar Whores (2004), Thousands of Dead Gods (2006), Headless with Leopard Skin (2009), and the list goes on up to more than 70 releases. The music itself is assaulting and invasive, embedded with the distorted screams of euro-horror starlets like Edwige Fenech, Susan Scott and Rosalba Neri – not that you would know it from the relentless layering of audio that makes up the deafening soundscape of scraping, crushing and collapse. 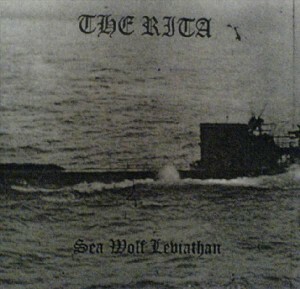 THE RITA is the harsh noise project of Sam McKinlay, a Vancouver-based musician, conceptual artist and film writer who has been considered a pivotal figure in the global noise scene since he started making tapes in his parents’ basement in 1995. 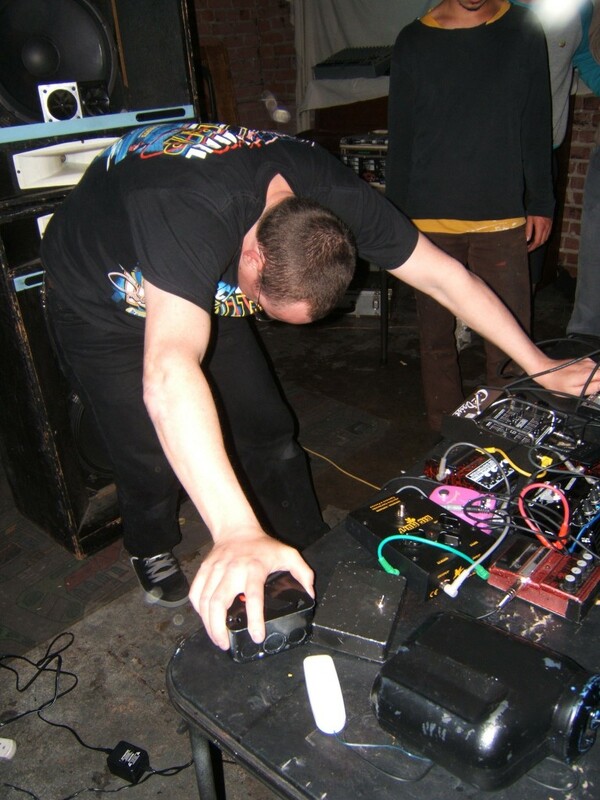 Since then he’s done splits with TAINT/MANIA, RICHARD RAMIREZ and Black Metal band BONE AWL, played at avant garde festivals around the world, and loudly championed the inherent connection between harsh movies and harsh music. McKinlay was kind enough to share some thoughts on the genre films that fuel his audio work. Where did your interest in genre films come from, and how does it relate to your sound work? Like many of us in our age bracket, JAWS was a major influence to seeing somewhat shocking violence for the first time – Ben Gardner’s head under his boat, Quint’s blood spitting death, etc. Violence of nature that really struck a chord. I have a heavy recollection of making parallels with scuba divers, snorkelers, and bloody deaths from years and years of a child concentrating on shark attacks, etc. From there I vividly remember watching Mattei’s NIGHT OF THE ZOMBIES at a grade 6 birthday party – obviously not comprehending the nature of the golden era Italian gore releases. At the same time I’d stare at box art at the video stores for what seemed like hours – the ZOMBIE and CITY OF THE WALKING DEAD photographs…they really struck a chord with gore drawings and comics I’d obsessively do at a young age. The years spanned from European horror interests that spiralled into 90s Fulci, giallo, Bianchi, and Salo harsh noise tribute works as I found my first correlations and parallels behind the dynamics of italian horror films and harsh noise. These days are spent with hours and hours of euro actress genre film studies that culminate into Laura Antonelli black nylon investigations, Ossorio and Loli Tovar NIGHT OF THE SORCERERS audio works, and other obsessed and incredibly specific conceptual works as I relegate what really drives my interests in the genre films. Another facet of early filmmaking that really drives me is pre-code flapper actresses and their depictions in talkie old dark house/whodunnit films – most lately taking sources from the french cafe dance scenes of the masterpiece (easily one of the most perfect films and serial ever) BLAKE OF SCOTLAND YARD. Your albums have covered a variety of genre influences but what are your current obsessions? Right now I’m really into Italian WWII Frogmen. They were a part of a group called Decima MAS, and they were basically human torpedoes that would try to blow up ships that were parked in harbours. Anyways I got super into their whole scene. I put out a 7” a while ago called SHARK KNIFING, and for the last while I’ve been using shark sounds because I went cage diving with great white sharks a few years ago and recorded some sounds of them banging on the cage and things like that, which is an obvious dynamic sound you can turn into harsh noise, because it has the aggression of the sharks and also the diving sounds. And the Frogman culture just seemed to parallel this. Where did this obsession with Italian Frogmen come from? “The frogmen interest comes frogman obvious interest in sharks and the scuba diver aesthetics that follow, but the recent complete obsession culminated from a few favorite films. Firstly, THE EMBALMER / MONSTER OF VENICE has always been a favourite giallo/horror film for me as the details are PINNACLE; a scuba diver going through the channels of venice, grabbing girls to kill and store, all the while changing into a hooded skeleton costume when he’s in his lair. I have been heavily interested in the Krimi genre for some time as it is a natural extension for a giallo fan – or vice versa and one of the rarities that really hit me hard is THE INN ON THE RIVER (1962). Agin, the plot’s details are hard to beat as a scuba diver is stalking the river Thames, killing his victims with a speargun, and he is known as ‘The Shark’(!!). It also helps that there is a frogman knife fight during the film which i think it one of the greatest of all aesthetics – a diver with an unsheathed knife. Horror / genre films for me lately have been incredibly aesthetic based as i delve further and further into the maelstrom of obscure titles. One of the features of the recent frogman obsession – especially with the eventual dedication to the Italian WW2 frogman division The Decima MAS, is the krimi FELLOWSHIP OF THE FROG (1960) which features a masked murderous ringleader who is wearing a gas mask-like guise that it not unlike the Decima MAS full face masks that the soldiers wore. Again, the krimis are largely aesthetic based – with many references to the 1930s and 40s US ‘old dark house/whodunnit genre with many different references to costumed characters, dark castles and atmosphere, etc. which giallo films avoided at large as they seemed to really sponge the 70s pop culture aesthetic (outside if films like SEVEN DEATH’S IN THE CAT’S EYES (1973). Did horror films have any bearing on your conceptual art projects? If so, can you elaborate or give an example? During my BFA in the 1990s I remember doing a couple of pieces that integrated heavy eurotrash interests, but always with an Ad Reinhardt, Richard Serra or Barnett Newman minimalist suggestion. One was a virtual tribute to THE VIRGIN OF NUREMBERG and BLOODY PIT OF HORROR where I constructed a coffin style black box that held down the participant, the head sticking out the end. The artist controls a water hose nozzle on the other end that effects the flow of water spilling into the participants face – virtually drowning them, but all the while the box signaling a compelling visage of late 60s minimalism. One more straight forward piece was a puppet show stage I constructed that represented something like Russian Constructivism, but was built and centered around the john and eye gouging scene from THRILLER: THEY CALL HER ONE EYE. The sampled dialogue played in the background as the visible artist worked the papier mache puppets through the scene. One more performance piece I have to mention is pretending to eat dog food shared with a 2-D installed dog figure all while scenes from GIALLO A VENEZIA were projected on a large screen behind me. Simulated violence through structure, metaphors, director Mario Landi, actress Leanora Fani, and master producer Gabriele Crisanti.